Somehow, but I don’t know how, I read 10 books in December and wrote about 6 of them. The Bone Field by Simon Kernick – publication date 12 January 2017. My review will follow shortly. 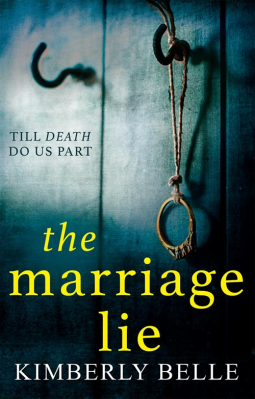 The Marriage Lie by Kimberley Belle – one of those books that gripped me and kept me guessing all the way through. The Phantom Tree by Nicola Cornick – alternating between the Tudor period and the present day following the life of Alison Banestre as she moves between the centuries trying to find out what happened to Mary Seymour. A Cupboard Full of Coats by Yvvette Edwards – a beautiful and intense book, full of emotion and passion, a really dramatic story, layered and full of depth. Worth Killing For by Ed James – Set in East London, this is the second DI Fenchurch novel, a bang up to date police procedural full of action, street talk and social and political commentary. Frost at Christmas by R D Wingfield – the first of R D Wingfield’s DI Jack Frost series. Corpus by Rory Clements- set in 1936, a most satisfying and compelling thriller. Village Christmas by Laurie Lee – a portrait of England through the changing years and seasons, a picture of a vanished world. Fatal Option by Chris Beakey – another new book to be published in February ‘A tragic accident. A family in crisis. And a killer watching every move.’ This is not really my sort of book – too much description of violence. The Wild Places by Robert Macfarlane – my review will follow shortly. My book of the month is The Marriage Lie by Kimberley Belle, a new-to-me author, so I didn’t know what to expect. I loved it. Once I began reading I just didn’t want to put the book down and I raced through it, anxious to know what happened next. And plenty did happen in one of the most convoluted and complex plots I’ve read in a while. The pace is terrific and the tension just builds and builds in this psychological thriller. I’m seriously impressed that you managed to read 10 books in December. I’m not sure what happens to me in December. I know it’s Christmas and busy but I don’t think that explains why I run out of steam regarding my reading. Very odd. Think I’m going to have to read The Marriage Lie. I’m glad you found several good reads in December, Margaret. I always admire the range and variety of what you read. you read a great many, I haven’t been so successful. With all the busyness of Christmas it is very impressive you read 10 books!